If the idea of going to the dentist gets your heart racing, you are not alone. Around 20% of Americans have some fear or anxiety about visiting the dentist, which is why Dr. Brian Barron, a dentist at Brilliant Smiles Bellevue in Bellevue, Washington, is certified in conscious oral sedation and IV sedation. With sedation, you can sit back and relax during any procedure, giving you a lot to smile about afterward. To find out if sedation dentistry is right for you, call the office or use the handy online tool to book an appointment today. Skipping your dental care because of fear and anxiety over going to the dentist can have serious repercussions for your overall health. Not only are you missing out on valuable preventive care, you may be needlessly suffering through dental pain. If you are avoiding going to the dentist, sedation dentistry may provide the perfect solution for you. Through varying degrees of sedation, depending upon your anxiety level, Dr. Barron is able to address both your comfort and oral care at the same time, helping you tackle minor and moderate problems before they become more serious. Is there a certified doctor on staff to perform sedation dentistry? If you’re only mildly anxious or fearful at the idea of seeing the dentist, Dr. Barron gives you a pill to address your anxiety, which you take prior to your visit. This level of sedation dentistry is designed to simply calm your nerves during routine care. This level of sedation goes a step further by providing anxiety and sedative treatment. Again, you take a pill prior to your visit and, upon arrival, the staff escorts you to your treatment suite where you recline in a comfortable chair with a blanket. Once you are completely relaxed and starting to drift off, treatment begins. 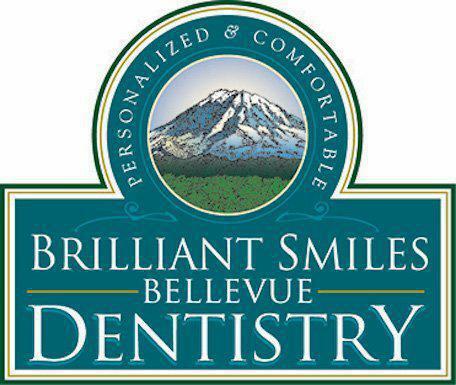 This is the deepest level of sedation available at Brilliant Smiles Bellevue. Dr. Barron again starts you off with a pill that leaves you completely relaxed. After you are in the chair and relaxing under a blanket, Dr. Barron gives you nitrous oxide gas to inhale, which further relaxes you. Finally, Dr. Barron administers medication through an IV drip that allows you to reach a state of total relaxation before the treatment.